The river Bhote Koshi lays just 3 hours drive away from Kathmandu. The river without a doubt the most exiting thing you can do without risking and social disease and one of the best two days river journey in the world. The river is very steep and very continuous stream. An unique combination of exceptionally fun and challenging rapids without it ever getting past point of recreation. Along the river side emerald green field are terraced high above the river on sheer slopes, curious villagers lining suspension bridges are amazed as we plunges through cascading waves and chutes of foam. DAY 01: KATHMANDU DRIVE TO BORDERLAND RESORT AND RAFTING. We start our journey from Kathmandu by private bus towards the tibetan border. We make a short tea stop at Dolalghat and continue on two hours putting in point for an early lunch. Then the guides will brief you on the safety aspects of the trip and its time to see what you are made of! We jump straight into grade 4 rapids like Gerbil in the plumbing and Frog in the Blender. By afternoon you will be wide eyed and exhilarated. To finish the day off we have Carnal Knowledge of a Deviant Nature, a huge rock slalom with a 2 meter drop into a hole and a pool! where your mates sit laughing. We exit and the bus drives us back up stream to our campsite. Overnight at camping. DAY 02: RAFTING TO LAMOSANGU AND DRIVE TO KATHMANDU. Wake up to the sound of the roaring river and a choice of a hot or cold breakfast. Today we thrill and spill our way down numerous drops and eddies. bump around boulders, occasionally getting stuck on them. Then we enter a narrow canyon and on to the Midnight Special, a gun barrel of a rapid which slams you up against a wall. Next we have The Great Wall, Liquid Bliss and the long, hard class 4 plus rapid Jhon Holmes. Please fill up “Quick Inquiry Form” or “Book This Trip Form” and send us for detail itinerary or personalize itinerary for your desire holidays. 2 - 3 PAX --------- Eu. / person. --------- Eu. / person. --------- Eu. / person. 4 PAX --------- Eu. / person. --------- Eu. / person. --------- Eu. / person. Only 1 pax in group --------- Eu. / person. --------- Eu. / person. --------- Eu. / person. Single Suplement --------- Eu. / person. --------- Eu. / person. --------- Eu. / person. - Mentioned prices are standard. There are possibilities for quotation other option. - Mentioned prices include accommodation in twin sharing room basis. - It is applied single supplement to occupy single room. 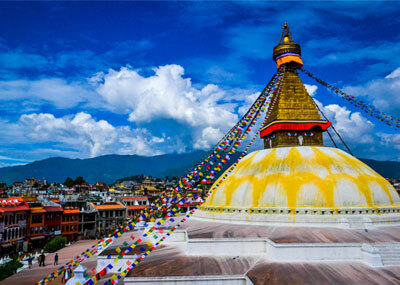 - Our services start from your arrival at Kathmandu. - Mentioned price does not include flight ticket from your origin to Kathmandu and return. - We can make arrangement of flight ticket, if you need our assistance. - Itinerary and quotation we offer you includes complete services. - (Hotel accommodation for your stay in Kathmandu and sightseeing in Kathmandu). - You can contract our services only during trekking without including services in Kathmandu. Trasportation by bus to and from river. All kitchen equipment and camping equipment (tents, sleeping bags and kitchen equipment, etc). Accommodation in camping with breakfast, lunch, dinner. Rafting guide and support staffs. Any unseen expenses and expenses occurred by unavoidable circumstances. Please fill up “Quick Inquiry Form” or “Book This Trip Form” and send us for quotation for this trip, detail itinerary or personalize itinerary for your desire holidays. This is basic terms and condition to send inquiries to Buddha Treks & Expedition P. Ltd. It is not commitment that you have to book tours, trekking, expedition or any other service with Buddha Treks & Expedition. There are not any service charges for inquiries. This is general inquiry. When you accept terms and condition of Buddha Treks & Expedition, it means you accept to send inquires to Buddha Treks & Expedition and you agree to receive information of tours, trekking and other services provided by Buddha Treks & Expedition. Please kindly inform us, if you are inquiring information or quotation for promotion or business propose. Please inform us, if you are travel agency, tour leader or other organization to propose for group. You are permitted to send as many inquiries to finalize tailor-made itinerary as per your desired holiday (date, route, type services, standard of accommodation, etc). In case of fixed itinerary, you have to be convinced as per groups plan. You will be bounded terms and condition of cancelation charges, amendment charges once you make final decision to book services with Buddha Treks & Expedition. - You need to provide us follow personal detail, information of flight (arrival at Kathmandu and departure from Kathmandu), Photocopy of passport and photographs. - We will procedure for necessary booking of services required for your trip. - We will send you information of availabilities of services. - We will request you for booking deposit and send you our bank account detail for wire transfer. We will request you to send us bank receipt when you make wire transfer. - We will send you final confirmation of tour. We kindly request with all our client to make payment 25% total bill as booking deposit at the time of booking made. Once you decided to book the trip with us, we will give you our bank account. The balance invoice of your booking to be paid on your arrival at Kathmandu. You can pay us cash, visa or mastercard. There is not any surcharge to pay in cash or traveler cheque but there is 4% surcharge to pay by visa or mastercard. AMENDMENTS: If you wish to make amendments to your tour arrangements, you must notify Buddha Treks & Expedition in writing. Each amendment to your tour arrangements will incur administration fee (20 Euros per person) and any increase in operational expenses or penalties (date change charges of flight ticket, visa or permit amendment charges), etc. TRANSFERS: If you wish to transfer from one tour to another, you must notify Buddha Treks & Expedition in writing. Once Buddha Treks & Expedition receive and acknowledges your notice the transfer will take effect subject to the following. - There has to be plenty of time for rearrangement. - Client has to agree to pay any cancelation charges occurred on previous booking, rearrange charges, tariff differences. BUDDHA TREKS & EXPEDITION reserves right to cancel booking in case of boarder closure, any unavoidable circumstances (General strike, any politic problem, cancelation of flight schedules, landslide, blockade of highway, etc). In such case tour can be transfer without charges of rearrange charges. It is chargeable tariff differences and any expenses occurred on previous tour arrangement. If client has decided to cancel tour with Buddha Treks & Expedition (tour booked, booking deposit has made), client will be charges as follow. - 5% of total invoice will be charges, if cancelation is made between 30 days – 45 days before tour starts. - 15% of total invoice will be charges, if cancelation is made between 15 days – 30 days before tour starts. - 25% of total invoice will be charges, if cancelation is made between 7 days – 15 days before tour starts. - 50% of total invoice will be charges, if cancelation is made between 2 days – 7 days before tour starts. - 100% of invoice will be charges, if cancelation is made, if someone does not report on time for tour. - 100% of invoice will be charges, if client does not want to consume the services contracted and paid, when tour starts. - Travel Agency is bounded by Airlines Company to issue booked flight ticket (domestic or international) on time. There are certain Airlines Company has restriction of nonrefundable, non re-routable, etc. Buddha Treks & Expedition reserves rights to charge such expenses with clients directly as per Airlines Company’s policy. Accordingly, condition applied issued trekking permit, climbing permit, permit and visa for Tibet and Bhutan. Please fill up the form completely. Buddha Treks & Expedition P. Ltd.